Snapchat is a simple FREE app for iPhones, Android mobile devices that takes photos or videos for sharing with friends or associates. The photos and videos include options to place a short ‘title’ of 31 characters on the screen for whomever you send your message to view as they see the photo or video. The appeal of Snapchat is that it will disappear after a few seconds so it’s perfect to send quick message, photo or video. 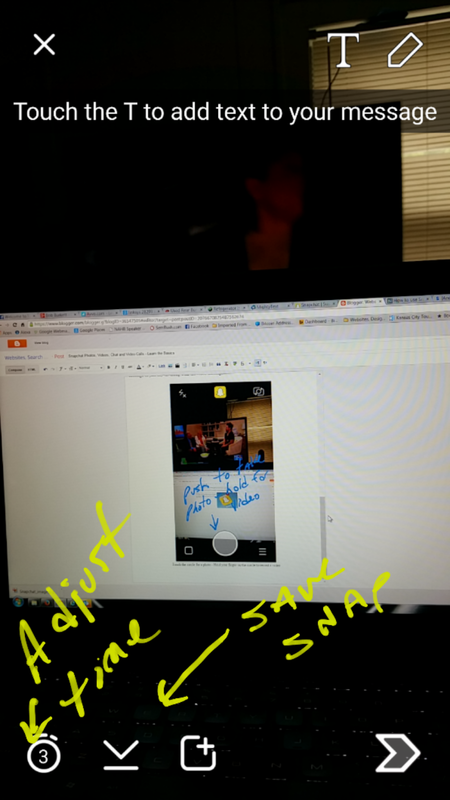 Snapchat defaults to a camera or video capture of YOU from your front facing camera (the same side as your screen) but you can change it to capture photos and video of others with the rear camera by touching the small icon at the top right of the screen which will rotate from front to rear camera and back again each time you touch the icon. To take a photo simply touch and remove your finger from the circle at the bottom of the screen. To take a video touch the circle and hold your finger on it while recording the video and remove your finger when done recording. It also records audio so you can narrate your video, share a quick message or just say ‘hi’ along with the video message. 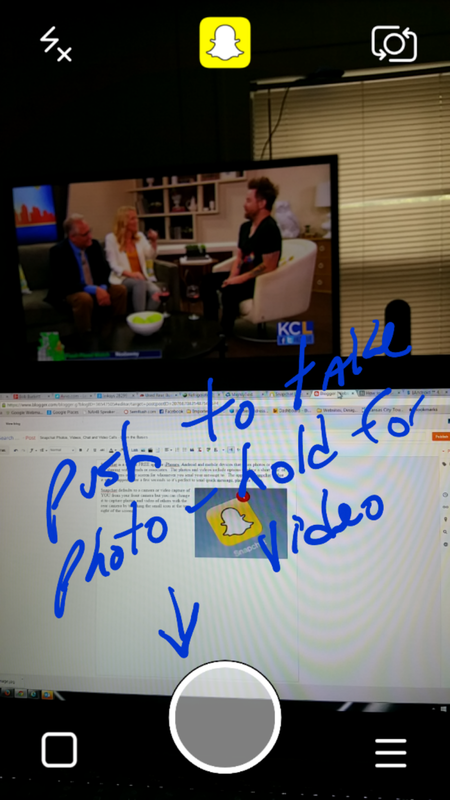 Once you have created your Snapchat masterpiece there are options to adjust how long the photo or video message may be viewed by touching the small number you will see in the lower left side of the screen. If the number says 3 it means your message will be visable for 3 seconds, touch the number and select up to 10 seconds for the viewing of a photo while any video will play for the entire length of whatever you recorded. Snapchat does not let you send photos or videos from your camera that were not taken through Snapchat. There are 3rd party applications but most of those have been disabled or may get you kicked off Snapchat if they catch you using them so if you want to send a photo or video later you must record it and ‘Save your Snap’ in ‘Stories’ which also creates a folder on the camera specifically for Snapchat captures. 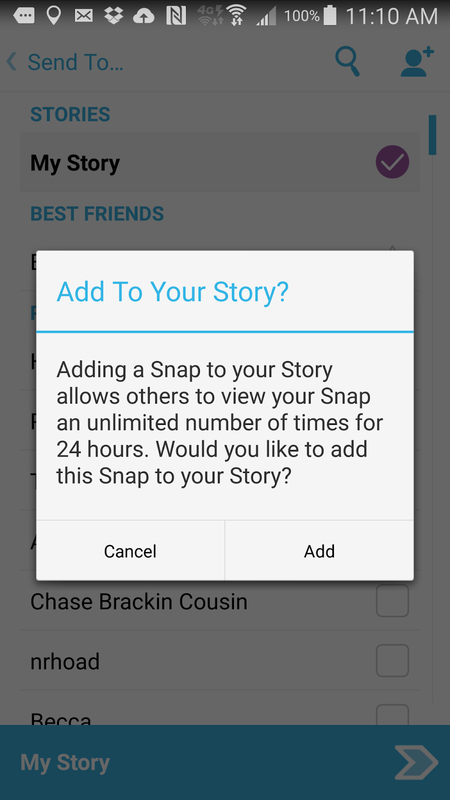 You can create a ‘Story’ by saving multiple Snaps then ‘add Snap to Story’ which enables users to view the Story for up to 24 hours. 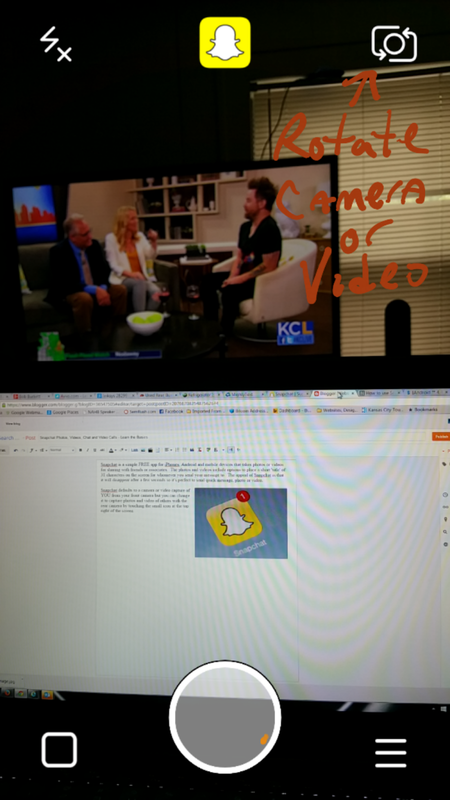 This is helpful for instructional videos for clients, How To messages and productivity outside of just sending fun Snaps to friends or family. The Chat feature in Snapchat is found by ‘swiping’ to the right (touch the screen with your finger and hold it down while moving it to the right) from the main screen then selecting the contact you want to send a message to. Chat works similar to regular text messages including the option to add photos or video in the exact same method as you do for a regular Snap with the unique option to add a photo from your cell phone photo gallery. 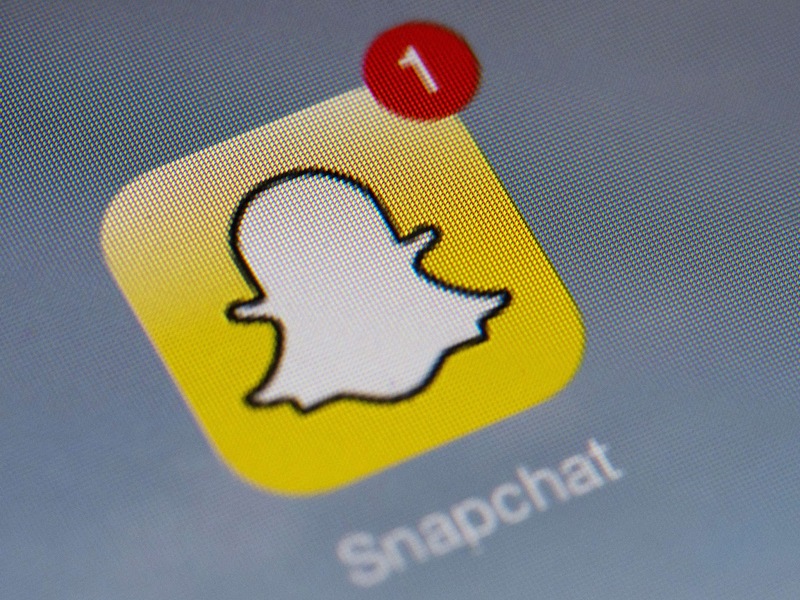 Snapchat can be helpful for business communications although the majority of users are sharing thoughts, comments, amusing or random messages just for entertainment. It’s worth installing the free app since Snapchat continues to grow and it’s one of the top used ‘social networks’ by the 30 and under Millennials age range. Great straight forward information, thanks!